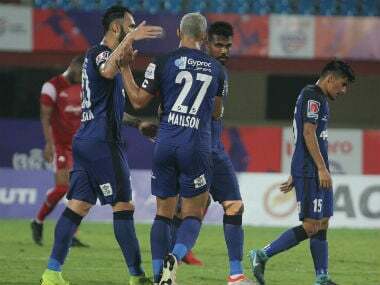 Delhi: Delhi Dynamos FC staged a marvellous recovery to pip defending champions ATK 4-3 in an entertaining bottom of the table clash in the Indian Super League in Delhi on Saturday. Dynamos took the lead in the 23rd minute through captain Kalu Uche but ATK struck back to enjoy a 3-1 advantage with goals from debutant Sibongakonke Mbatha (37th) and a brace from star striker Robbie Keane (52nd and 58th). 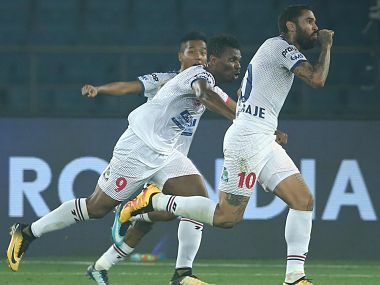 With half an hour left, Delhi stunned those watching with quick goals from Kalu Uche (69th), Seityasen Singh (71st) and finally the winner from Matias Mirabaje in the second minute of stoppage time. Dynamos now moved to the eighth position with 15 points while ATK are now down to second last position with 13, with both teams having played 16 games. 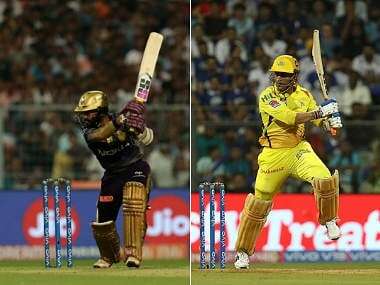 The match was of little consequence to the league table as both teams are long out of the semi-final contention. The winner from Mirabaje came in the second minute of stoppage time as Delhi, who are already out of the race, proved their worth. The misery for ATK and interim chief coach Ashley Westwood continues. ATK have not won a single game since the departure of Teddy Sheringham and Westwood saw his team losing five of the last six matches. The stunning result for Delhi and the change in fortunes on Saturday night overshadowed some excellent performances from ATK. Star striker Keane scored two goals. The first was a stunning free-kick and the second an opportunistic strike after the goalkeeper had erred with his collection. ATKs opening goal came from debutant Mbatha, who mesmerised everyone with some brilliant play on the flanks. He was fortunate for the opening goal since it deflected of a defender and sailed into the nets but for most part of the match Sibongakonke was a treat to watch as he teamed up with Keane. In the end, even those dazzling performances were not enough for ATK to stop its free-fall. Delhi, who took the lead in the 23rd minute through captain Uche, were fortunate as ATK defender Anwar Alis interception fell kindly for Uche and the man in-form made no mistake. The hosts, however, were jolted when ATK equalised and Keane struck twice to give them a 3-1 advantage in the 58th minute but nobody had a clue what was in store for the rest of the match. 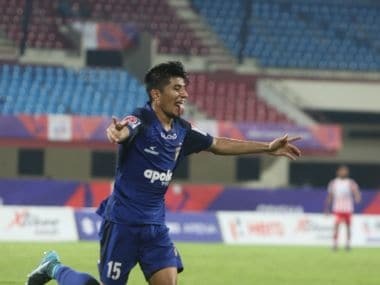 Delhi scored two goals in as many minutes between 69th and 71st and then Mirabaje got them the goal they deserved in the dying minutes to put the game to a memorable end.